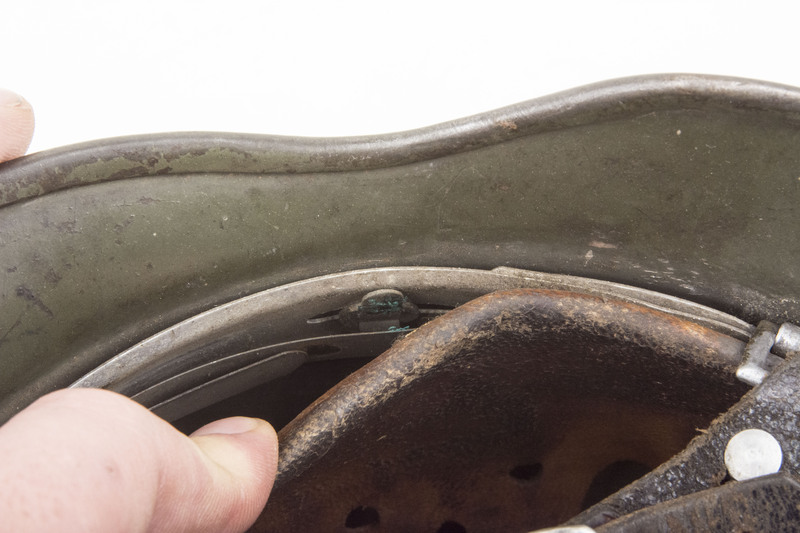 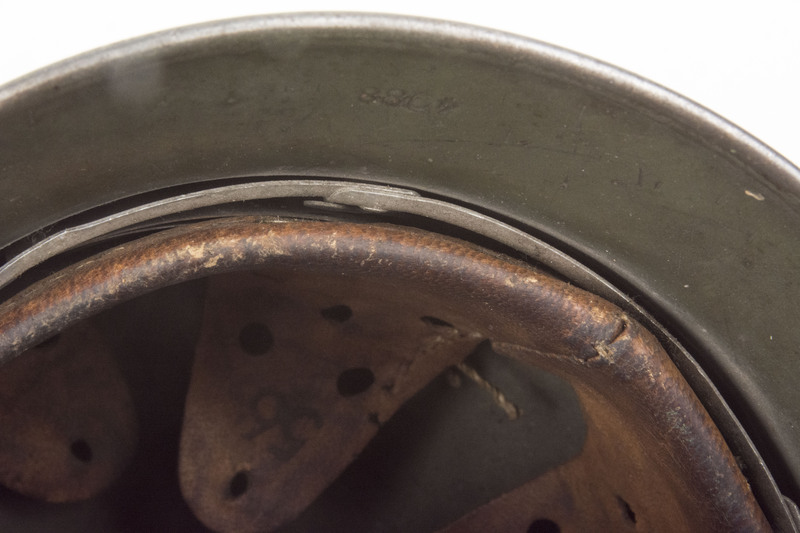 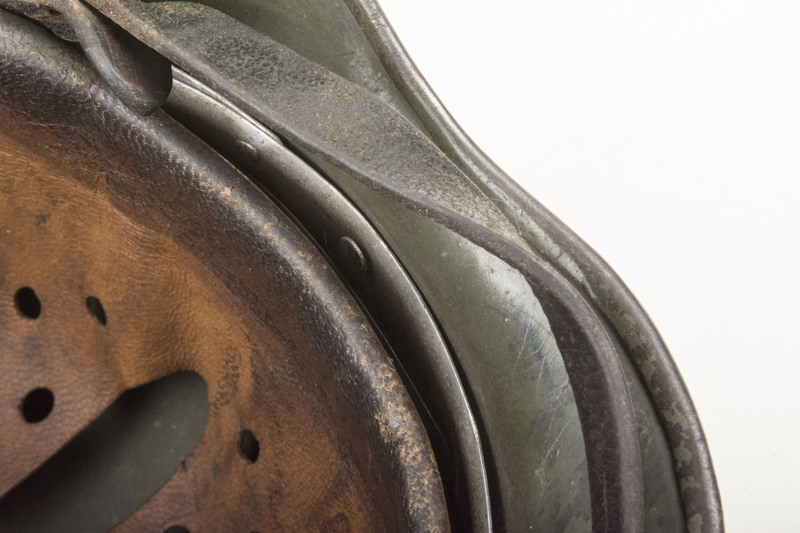 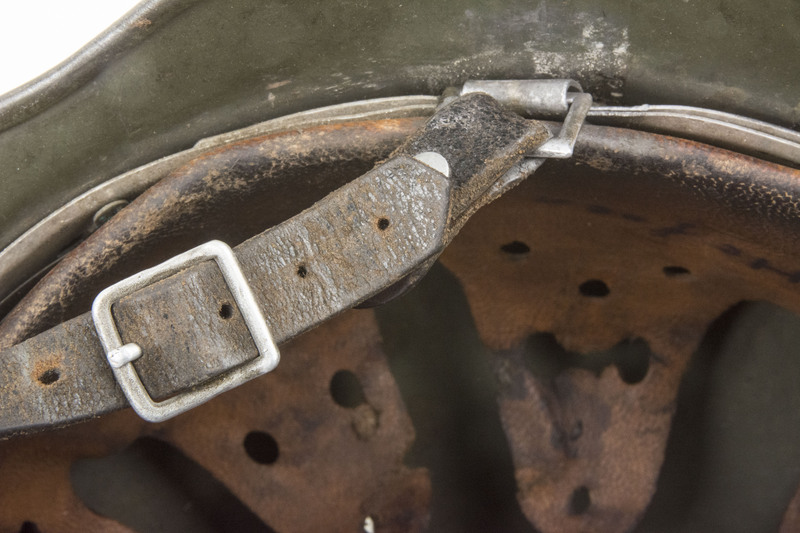 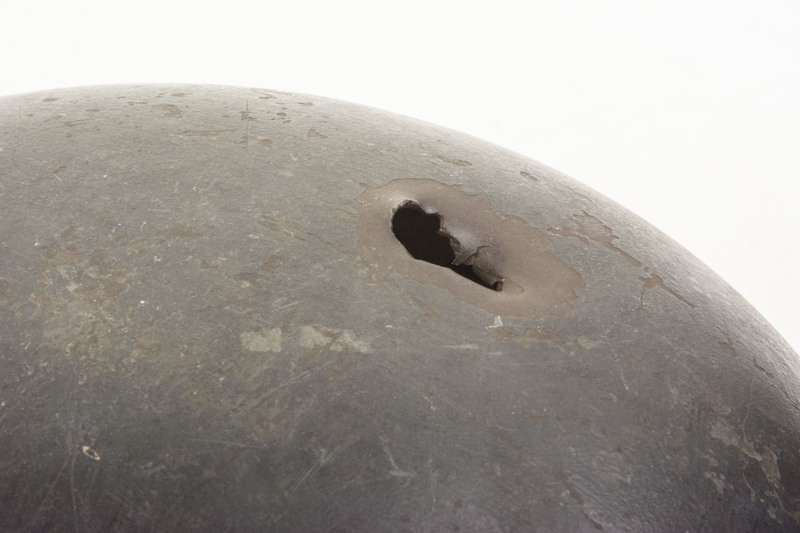 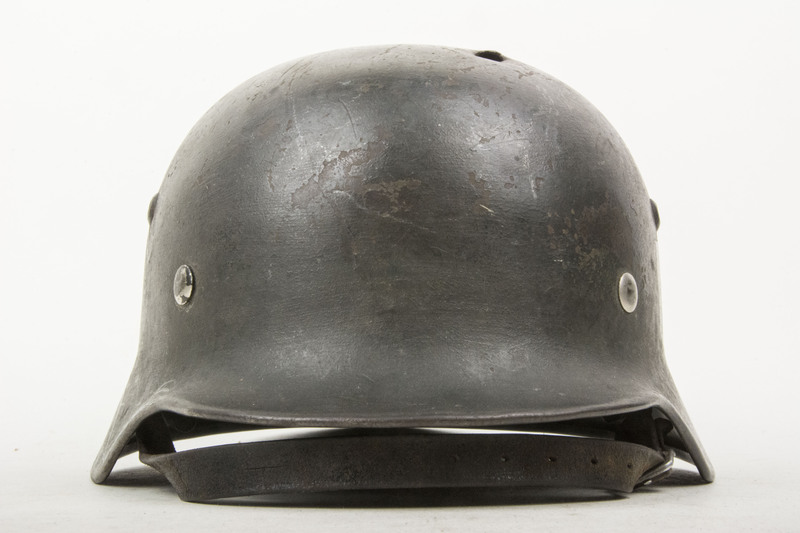 A nice and typical example of a battle damaged M35 helmet. 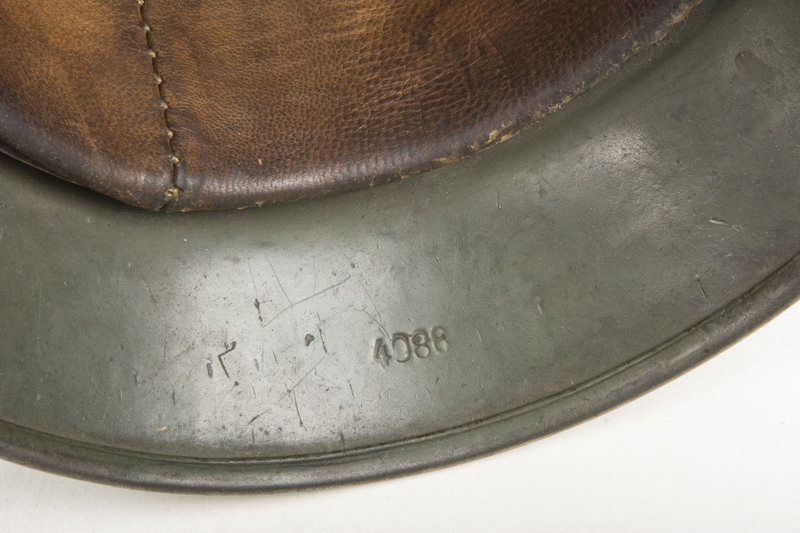 The helmet is a standard apple green double decal M35 Heer helmet with a field repaint typical for the 1940 campaign. 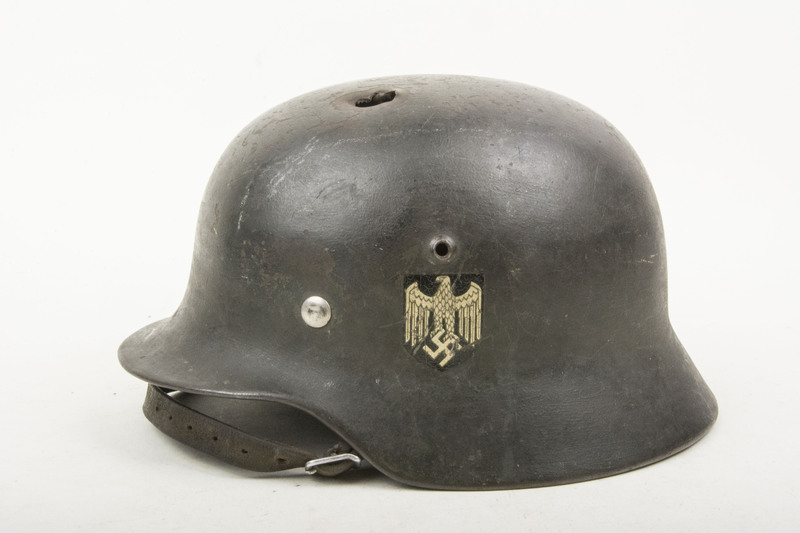 The helmet retains 99% of its original camouflage paint which covers the thricolor decal but leaves the eagle bare to the eye. 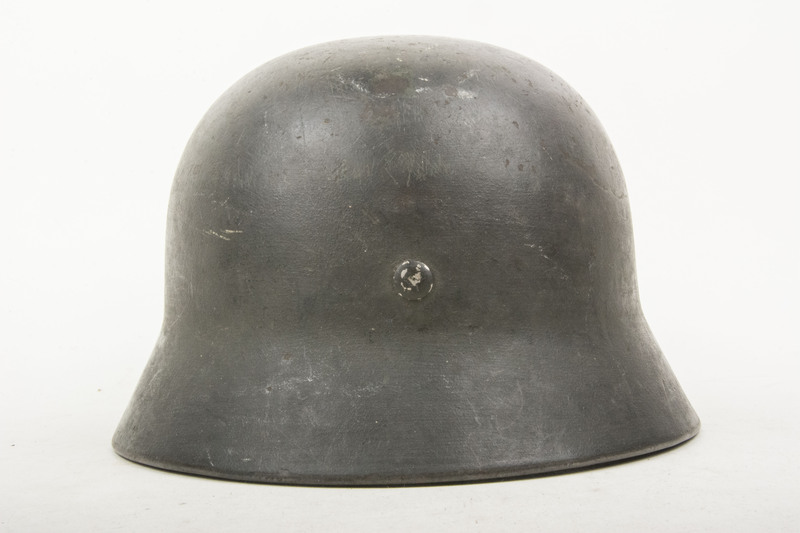 The helmet is marked SE64 indicating production by Sächsische Emaillier und Stanzwerke A.G. 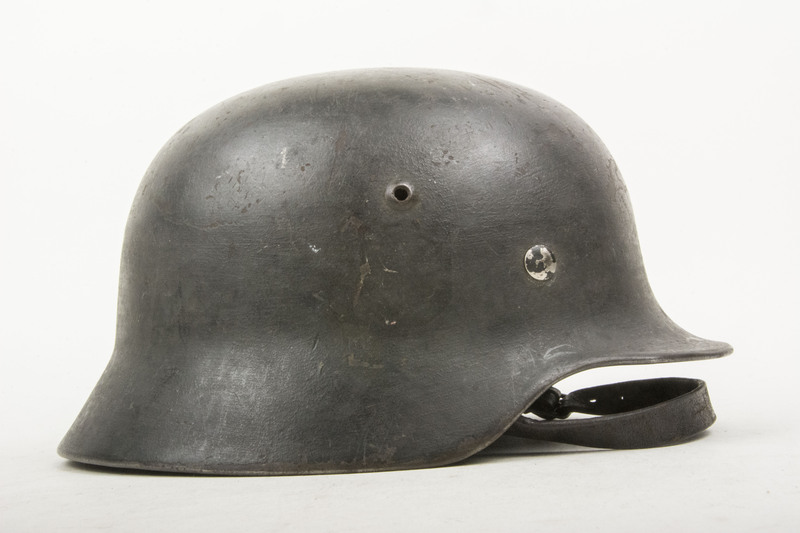 The helmet retains its original liner and chinstrap which are original to the helmet. 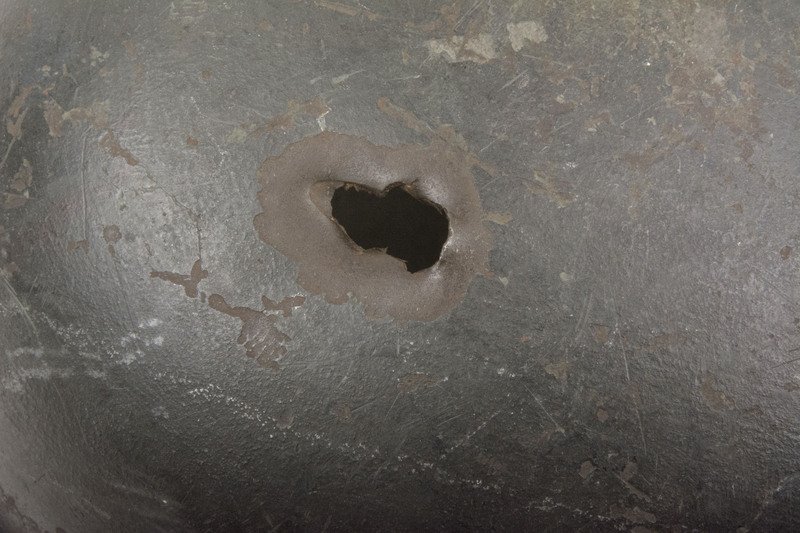 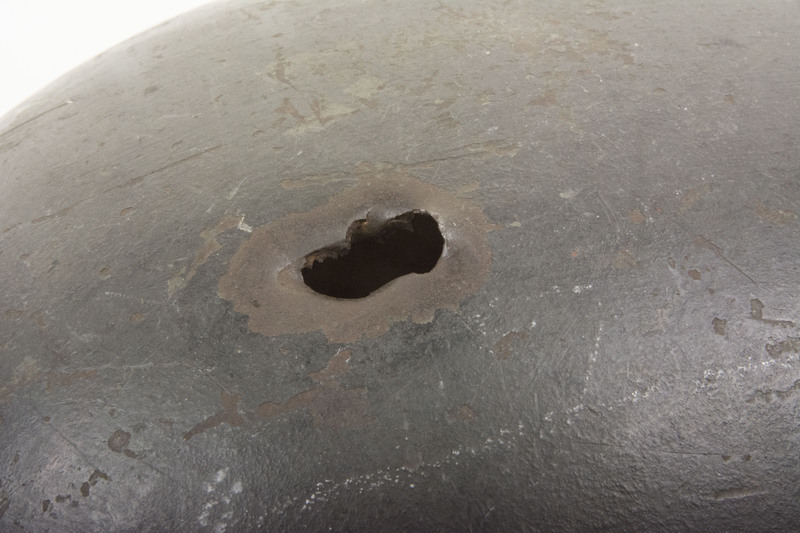 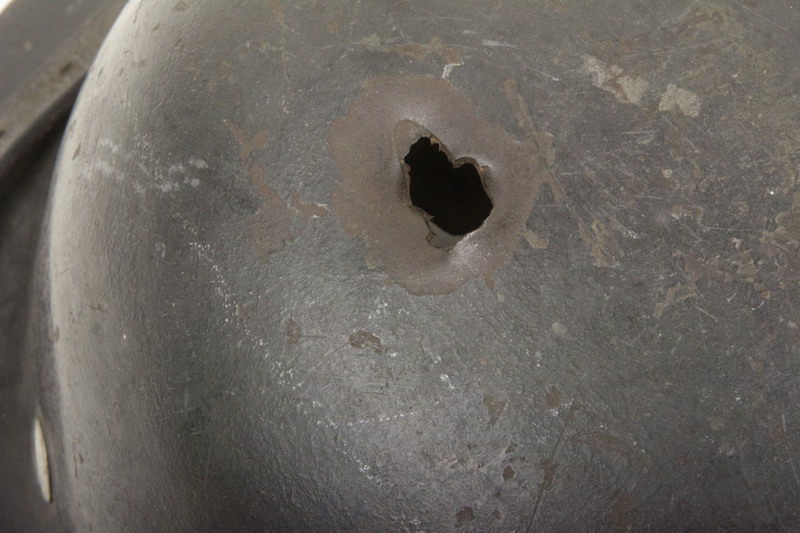 On the top of the dome a large hole can be seen that was most probably inflicted by a bullet coming from the front. 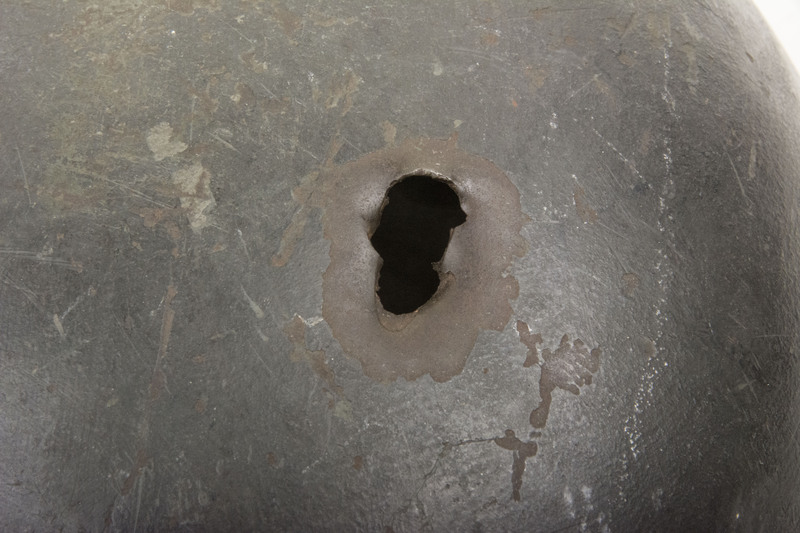 The hole surely seriously wounded anyone wearing the helmet at that time and the light blood staining in the leather shows this. 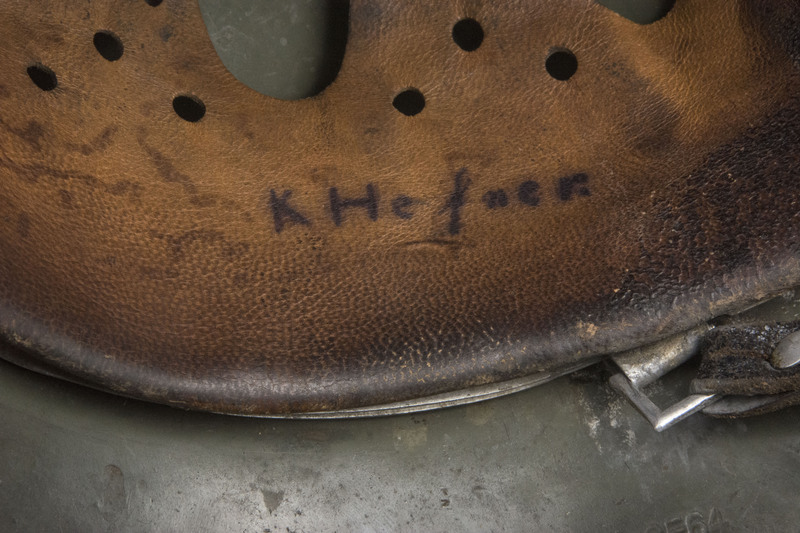 The liner is nicely named K. Hefner. 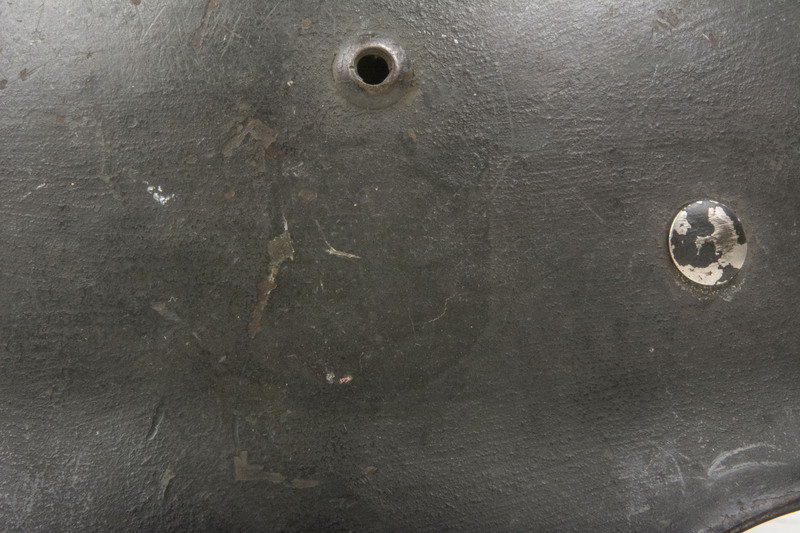 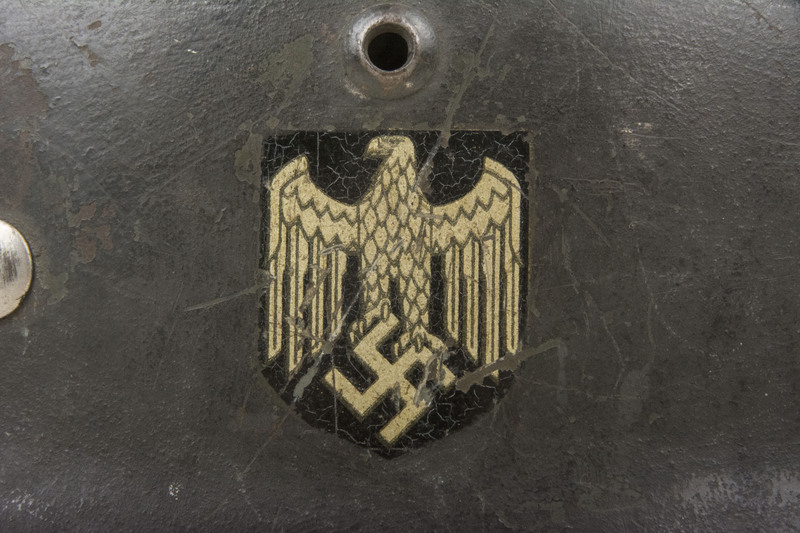 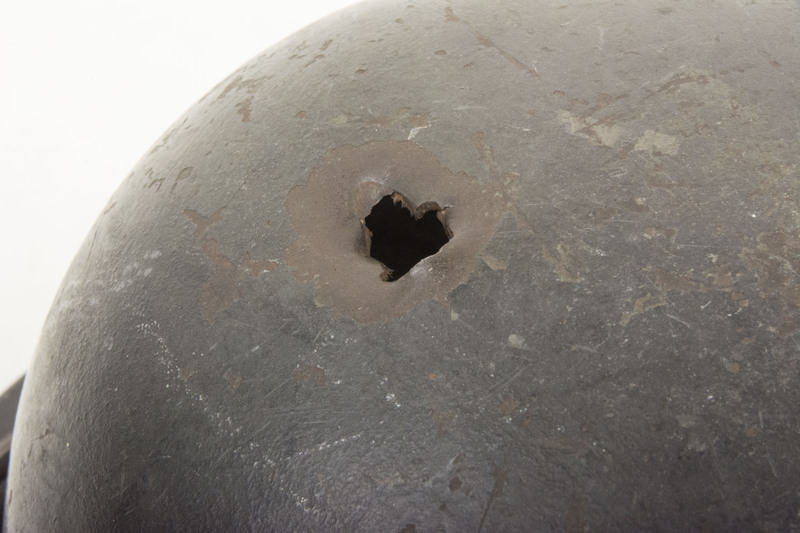 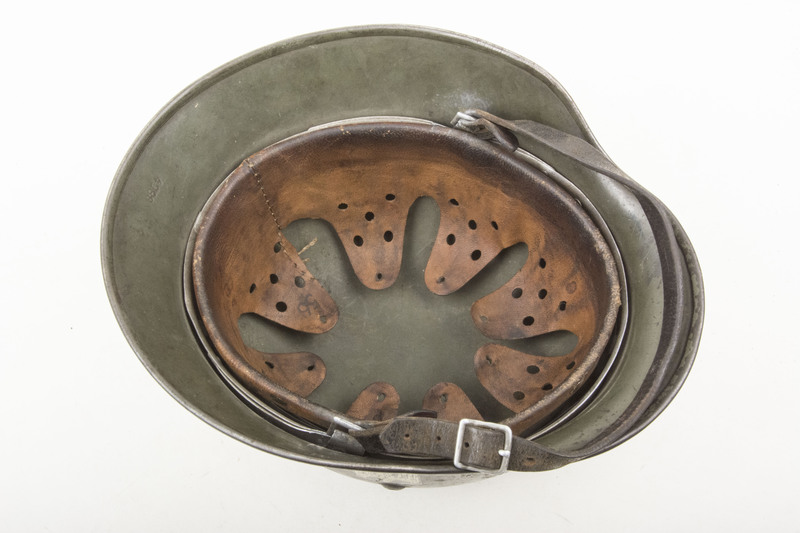 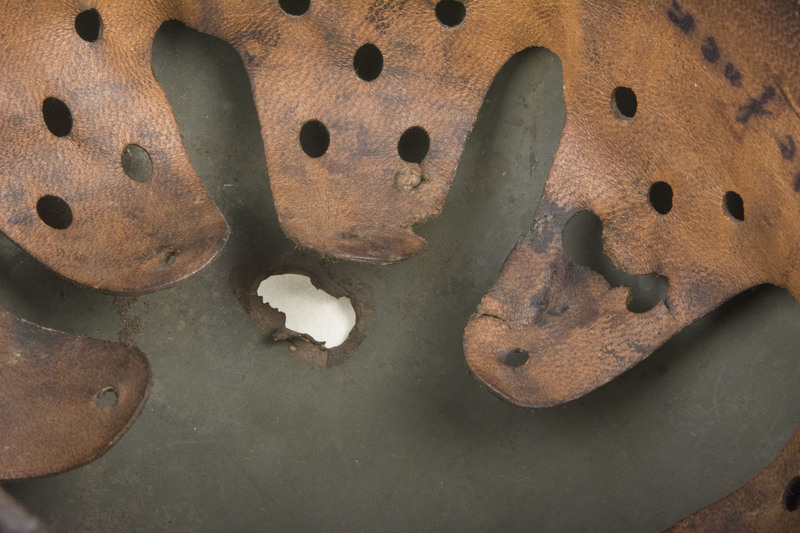 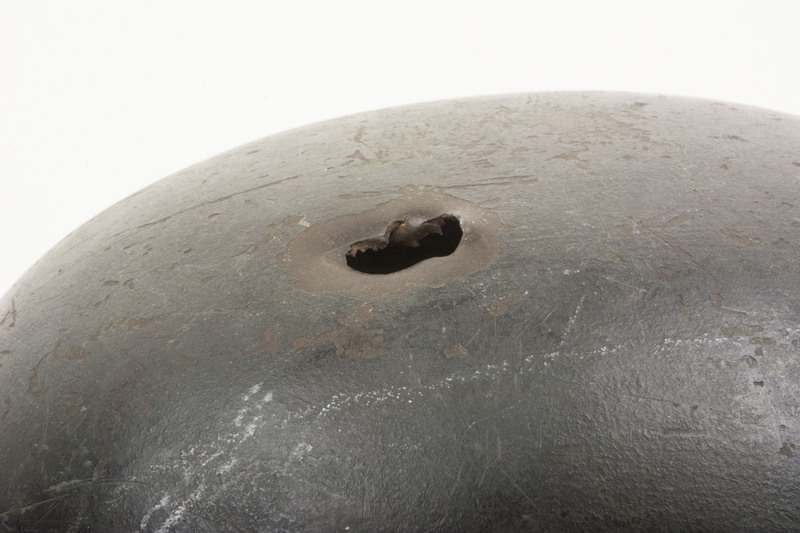 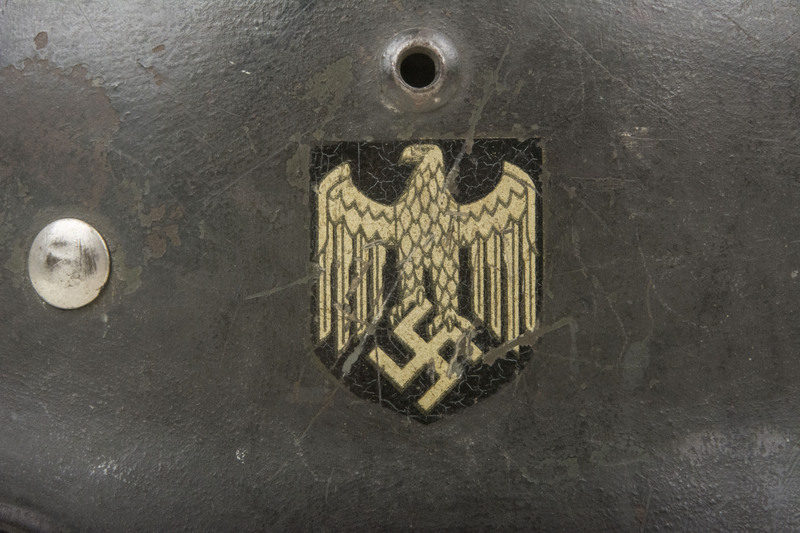 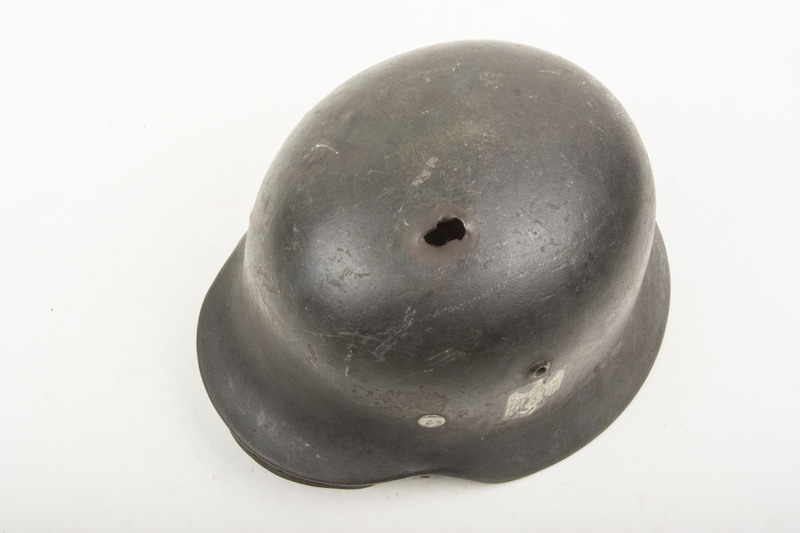 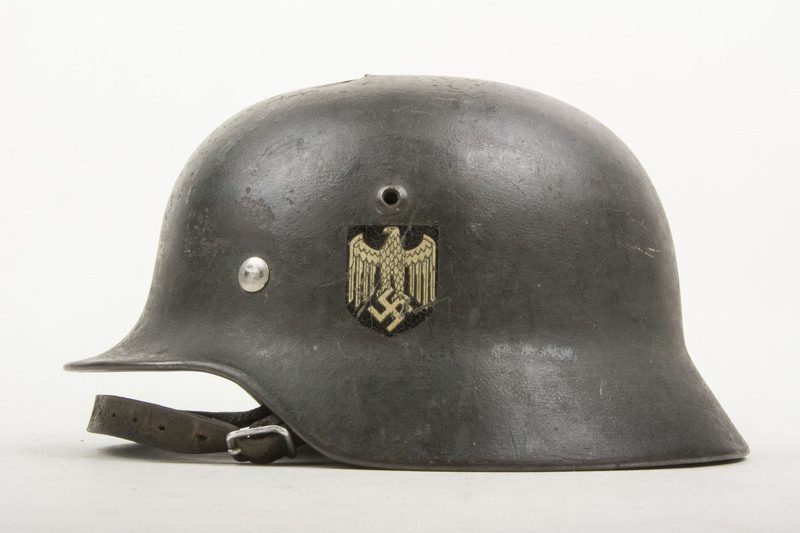 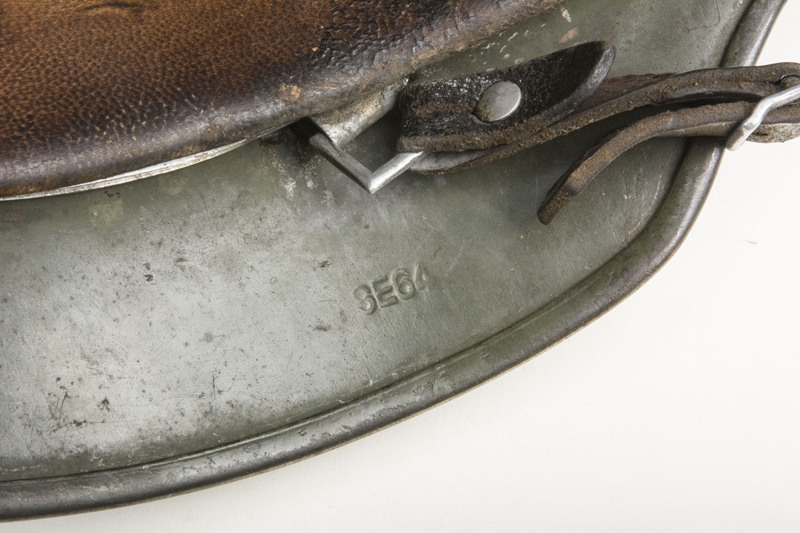 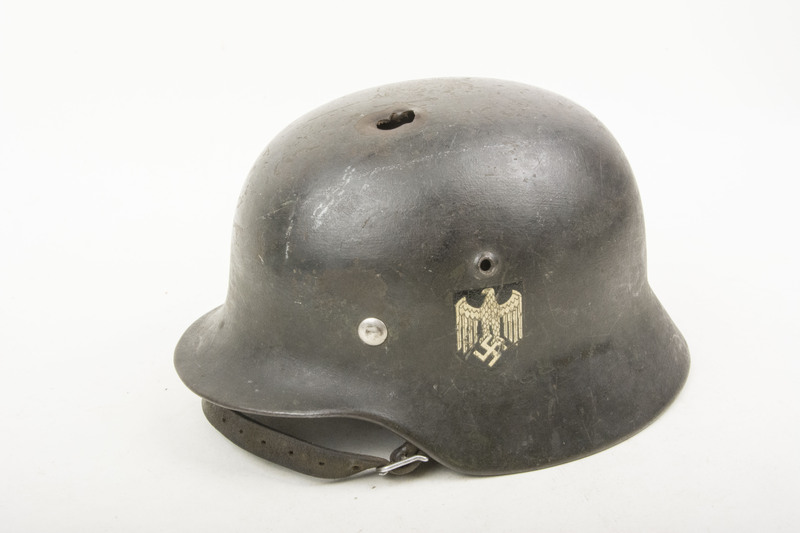 A very nice battle damaged M35 helmet in great – as found – condition!